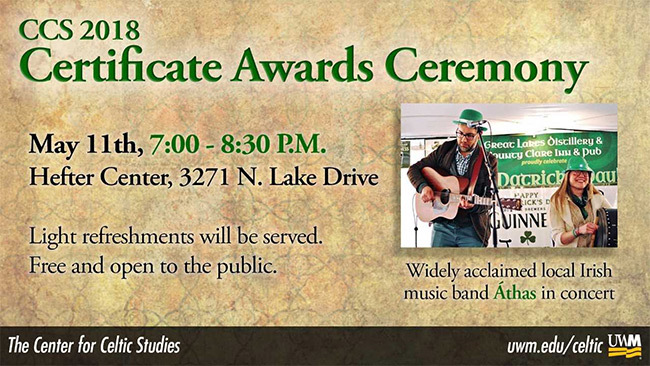 Join us for the CCS Certificate Awards Ceremony to honor and celebrate the achievements of our students. We will feature the tunes and songs of Áthas. After the successful opening of the exhibit last week we are excited to be co-organizing another cultural event with Latin America connections. Join us on Wednesday, April 18th to hear music and stories by Bieito Romero; a composer, musician and member of well-known Galician folk band, Luar na Lubre.